Pinterest, my disdain still lingers, even though I continue to use it regularly. However, I think that with the ever fanatic use of the app/tool, people forget to come back to reality and remember most of us have full time jobs, kids, commitments…A LIFE! Pinterest crafting takes way too much time and money to really do it correctly…thus, simply crafting done MY own way!! Pinterest seems to put an emphasis on taking the simplicity of creativity out of the picture. Everything needs to be curated to the nth degree. For those that don’t give any F’s, kudos to you. It’s hard not too, human nature doesn’t make it easy for us to compare ourselves, our crafts, our everything to those around us. I’m sure my simple crafting ideas aren’t new to anyone, but they work for me. I use what is around me or what I can crab while I’m at Target — if I’m being completely honest. Here are two little things that I did spur of the moment and used what I had at home or could grab while I was out. I didn’t go out of my way to make this happen, everything was done simply. Mother’s Day Flowers // If you’re like me, I’m always money conscious. Flowers are a perfect way to celebrate the ‘Mom’s’ in our lives, but real bouquets cost way too much AND combined, we have way too many Mom’s to make feel special! Last year, we gifted Trader Joe’s bouquets crafted in our own way. This year we did it slightly differently, but still bought our trusty TJ’s flowers! 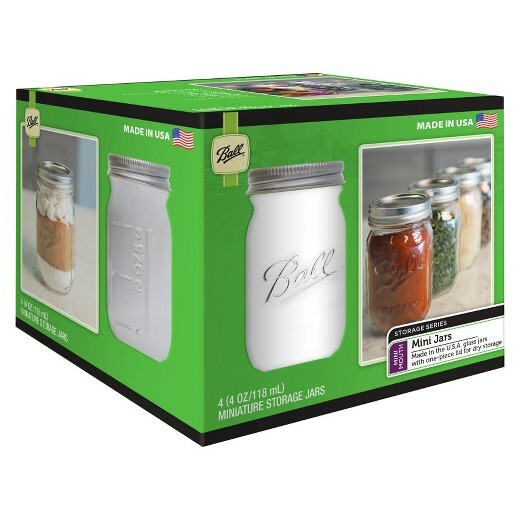 We stumbled upon our new fave Ball mini mason jars by accident. I couldn’t find what I liked at Target, of course, on an end-cap. So I went to investigate further and found more options. It was actually L who spotted these mini cuties, we were both sold on how cute they were. The TJs flowers came from TJ, obviously! We just had to trim them so they weren’t top heavy for the mini Ball jars. I had the twine and the little gift tags already, so L decorated the tags and helped me tie them on. The little tassel things I already had from the dollar bin at Target and we threw them on there to be festive, even though they look a little different. L liked them, so I left them on there. They didn’t take long to make at all and I think they ended up being super cute for making it up on the go! They were budget friendly and crafted simply…. Last Day of School Breakfast Treat // I knew I wanted to do something special for L’s last day of school. Nothing over the top, but something somewhat celebratory. And I wasn’t making homemade pancakes, that’s doing way too much 😉 Then it hit me, DUH, doughnuts! I woke up extra early to head to the donut store to make sure it was a surprise. Obviously I know L’s fave donut, but I wanted to add a little more, so I asked for some donut holes. I wasn’t sure how to incorporate them into the surprise. I was going to leave a note on a paper towel, but remembered we have a stash of white paper that I recycle from work. It worked out perfectly. I love puns and ‘donut’ is the perfect word for a pun. I kinda just did it on the fly and this is what I came up with, design and all. I didn’t create anything spectacular here, but I did just use simple creativity. Nothing Pinterest inspired or derived, just good ‘ol creativity by situation. I think sometimes we put too much pressure on ourselves to out-do ourselves (re: crafts/gifts/parties), when really sometimes keeping it simple is best. Hopefully this reminds you to create with your own simplicity OR use Pinterest, whatever floats YOUR damn boat. As for now, I’ll do a hybrid remix of both options. Life happens, so whatever it can accommodate I will go with it. I won’t kill myself trying to make it Pinterest perfect, nor will I shame myself for attempting to follow my own creative ideas…even if they are a #PinterestFail !